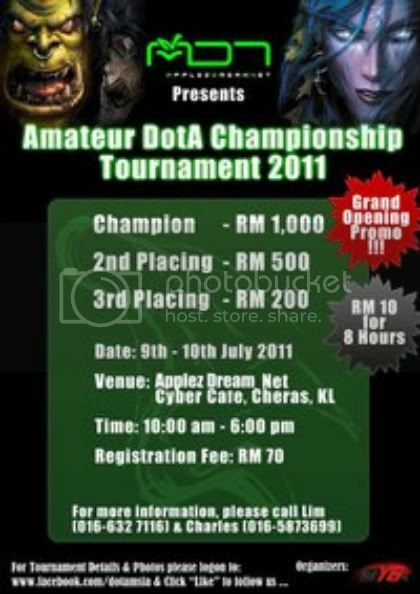 DotA Craze is back in Malaysia with MYG presenting Applez Dream Net Cyber Cafe DotA Championship Series 2011 Tournament. Be ready DotA community out there for the DotA experience like never before in this tournament and prepare to be challenged! Want to be in this tournament? Only 1 banned player is allowed to join any others team on this tournament , any suspend team contain more than 1 banned player will be automatic disqualified on this tournament.